I know I’ve been MIA lately, but the blog had to take a backseat for a while while I was off on some overseas adventures then subsequently trying to get my life and business back together after taking 2 weeks off! 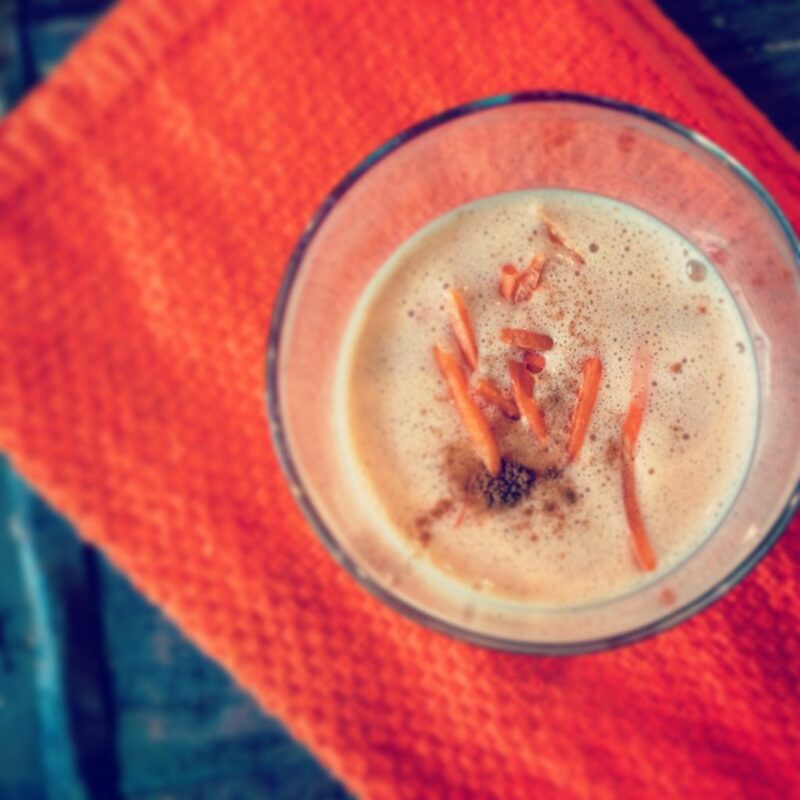 But no worries, I’ve got lots of posts coming up detailing my trip, new interviews with dynamic dietitians (and the founders of the start-up company Cramen– a combo of the words Cricket and Ramen), not to mention some delicious summer-inspired recipes including this Carrot Cake Power Smoothie. 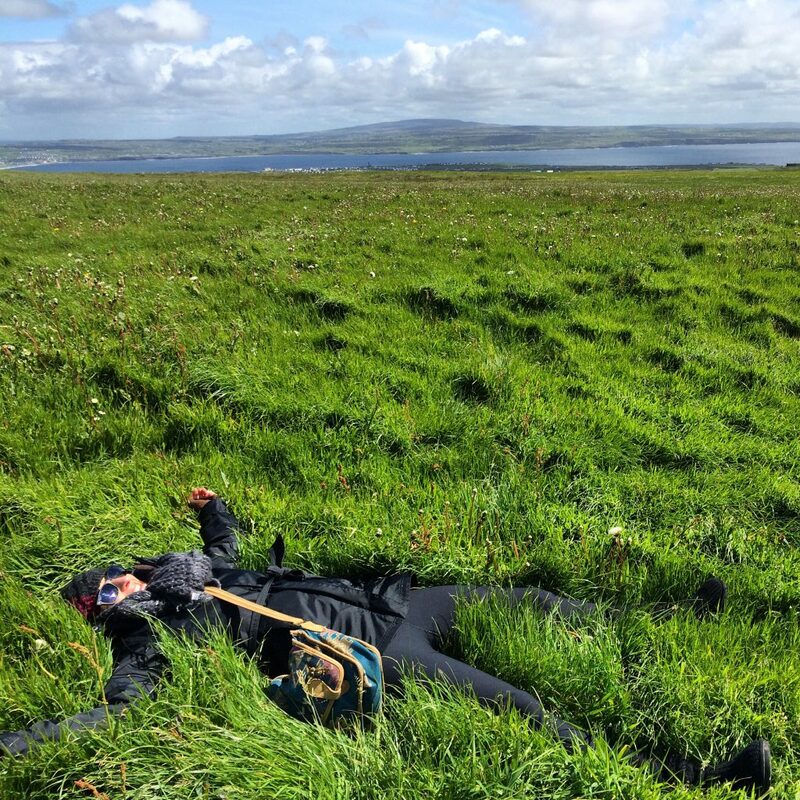 Little sneak peak of my trip: Laying in the greenest, softest grass in the world at the top of the Cliffs of Moher in County Clare, Ireland. The first time I had a Carrot Cake Smoothie was at Skyebird, the ridiculously awesome, raw vegan experimental kitchen & juice bar inside East End Market. We are so lucky to live in an area with these kinds of options. Anytime I need to take a break and get away for lunch or if I just don’t have time to pack something I’ve got truly healthy and sustainable options at my fingertips. For more healthy options in Orlando, check out my post Your Complete Guide to Eating Healthy in Orlando. My favorite lunch (so far) from Skyebird is the Coconut Curry Kale Salad with sprouted lentils, red pepper, radish, carrot, tamari almonds, red onion and coconut curry dressing. Sounds like the healthiest thing you could ever put in your mouth, right? Plus, they’ve got them ready to go in glass mason jars if you need to get back to work quickly. Just as quick as fast food, so there’s no excuse Orlando! Back to smoothies. Don’t just fill them with almond milk and tons of fruit and expect that to fuel you up for the day. I like to put some staying power and a little protein umph in my smoothies with Greek yogurt and protein powder. As you know, I’ve been on a quest to find the best protein powder and I think Tera’s Whey blends perfectly in this recipe. Feel free to leave it out if protein powder’s not your jam, but make sure to switch out the almond milk for organic soy or cows milk. Surprisingly, almond milk has little to no protein and you need to make sure you’re getting a balance of complex carbs, lean protein and healthy fat with each meal or snack. Ingredients as listed, this smoothie has a great balance of all 3. Are you looking for a dietitian or nutritionist in Orlando? Contact us at info[at]orlandodietitian.tin or schedule your appointment here. Not in Orlando but still need some nutrition help? We also do online or over the phone consultations.